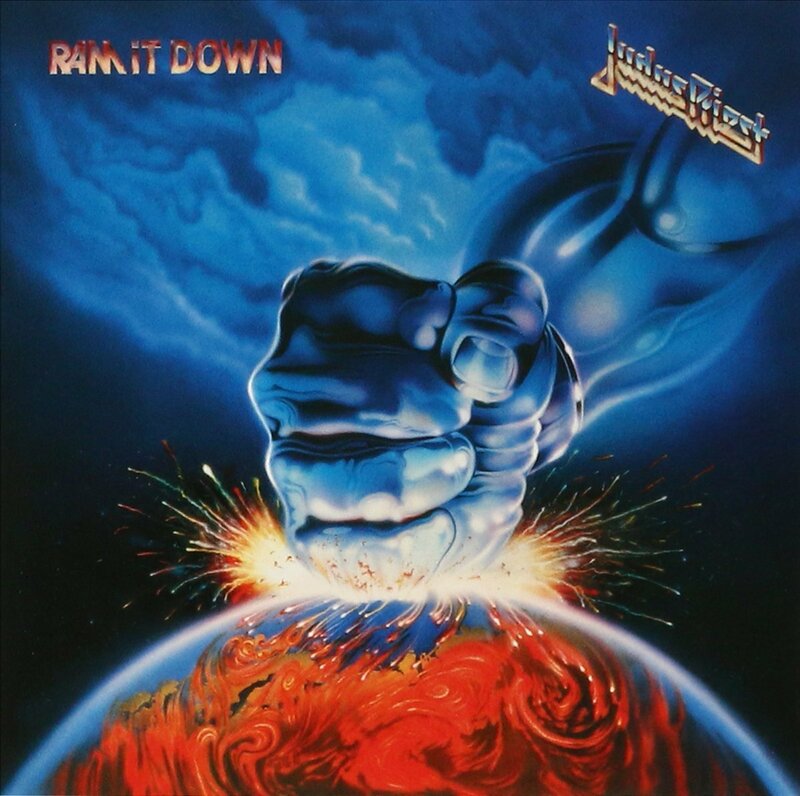 The mighty Judas Priest is the stalwart of traditional heavy metal. Known as the “Metal Gods”, the U.K. based quintet has made an indelible mark on the face of heavy rock music. Some of the most epic and classic metal songs bear the Priest name. 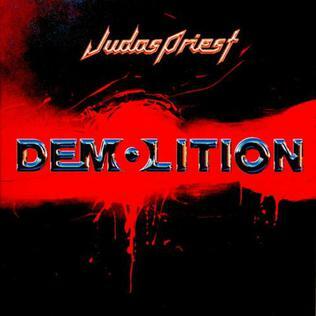 This winter, Judas Priest will release its 18th studio album, Firepower. The album marks the second with new guitarist Richie Faulkner who replaced founding member and guitarist K.K. Downing for the band’s Epitaph Tour in 2011. Bassist Ian Hill is the band’s only remaining founding member. However, vocalist Rob Halford and guitarist Glenn Tipton have been members since the band’s debut album in 1974. The band also includes long time drummer, Scott Travis (Racer X). In honor of all that the metal gods have given us, Metal Nation has ranked all 17 of the band’s original studio records from 1974 through 2014. Many would argue that this is the band’s seminal album. 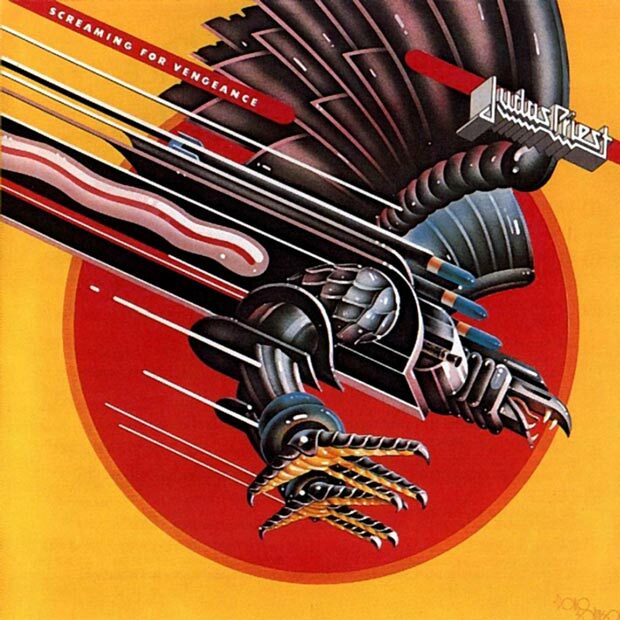 This year marked the 35th anniversary of Screaming for Vengeance. This is the album which broke the band in America, featuring the hit song “You’ve Got Another Thing Comin’,” which was a last minute addition to the album. It also features the group’s long time concert opener “The Hellion/Electric Eye”. Best song: “Screaming For Vengeance”. 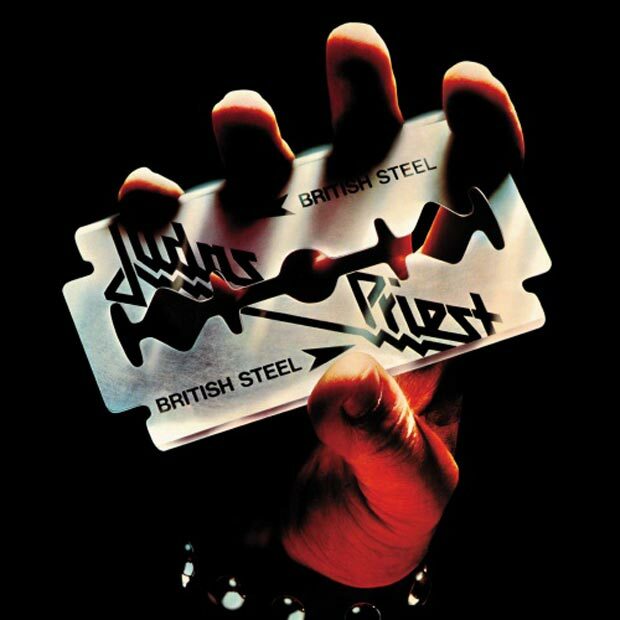 The precursor to British Steel, the album was originally released as Killing Machine but received in America as Hell Bent For Leather. This marks the album where the band embraced its leather and stud imagery. 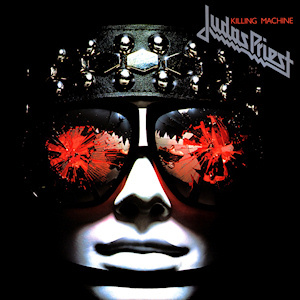 The record features beastly tracks like “Delivering The Goods”, “Burnin’ Up”, “Running Wild,” and a cover of Fleetwood Mac’s “The Green Manalishi (With the Two Pronged Crown)”. Best song: “Hell Bent For Leather”. Another heavy-weight album which many schooled musicians and Priest fans consider the band’s best. 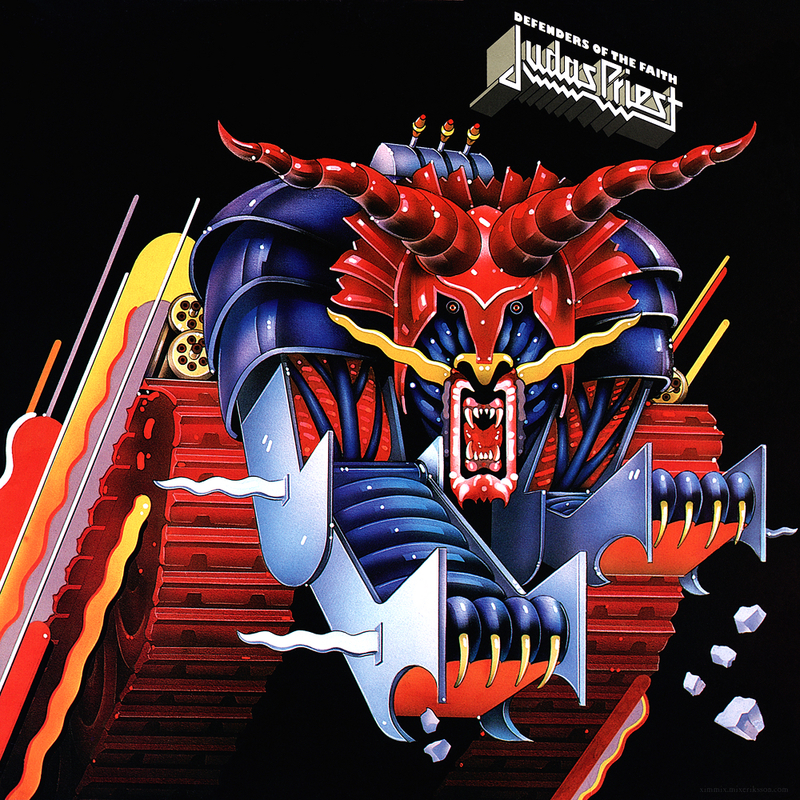 The record earned the Judas Priest more hit singles than any previous album with tracks like “Some Heads Are Gonna Roll”, “Love Bites”, and “Freewheel Burning” among the songs that received solid radio airplay. Best song: “The Sentinel”. The infamous album that brought Priest to court over alleged back-masking on the track “Better By You, Better Than Me”. In 1985, attorneys claimed that the band had placed subliminal messages in the song, which led to two young men attempting suicide; one successfully, one disfigured. The album also featured the fan favorites, “Exciter”, and “Beyond The Realms of Death”. This is also the first album to sport the band’s iconic logo. Best song: “Savage”. 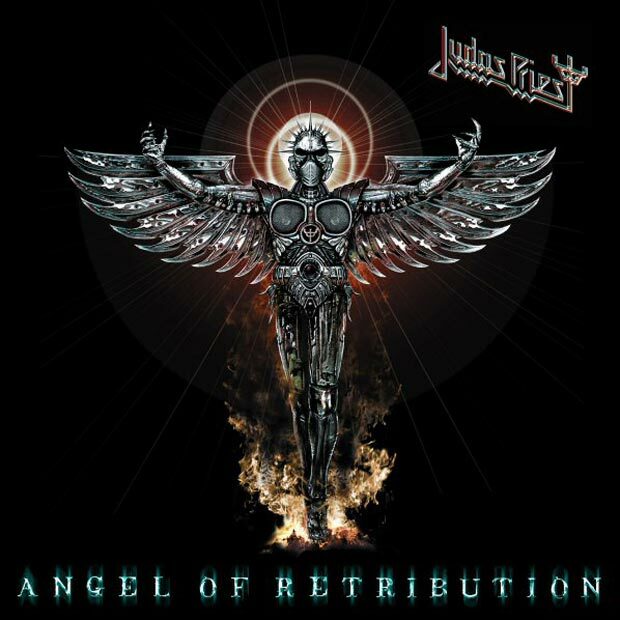 The first Priest album to feature the chest-caving power of new drummer, Scott Travis. The album is a genuine beast. 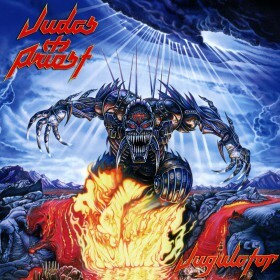 The title track is a metal juggernaut, and songs like “Metal Meltdown”, “Leather Rebel”, and “A Touch of Evil” remain fan favorites. This would be Rob Halford’s last studio album with the band for 15 years. Best song: “All Guns Blazing”. 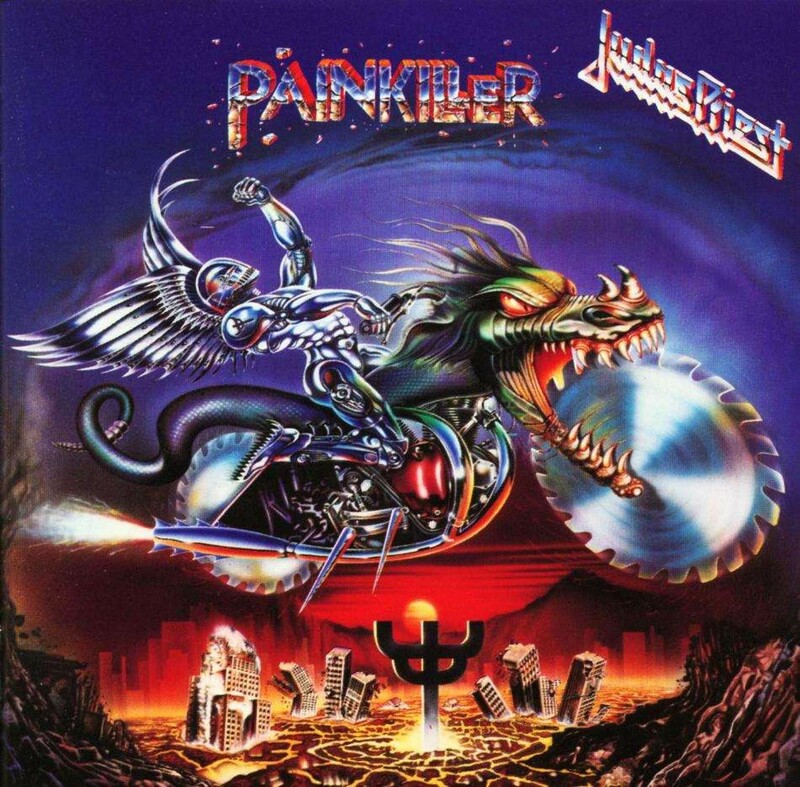 The album that was not supposed to be came to fruition after Richie Faulkner jolted the band’s creative energies back to life. 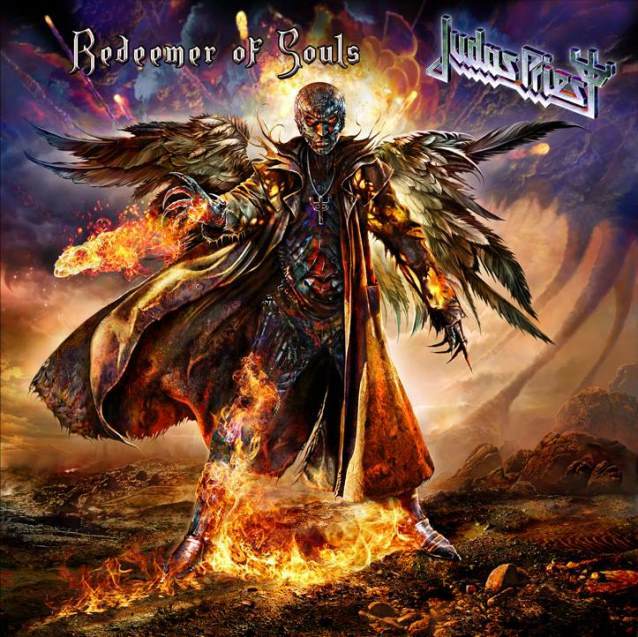 While the younger guitarist has his fingerprints all over Redeemer of Souls, the classic Priest sound is back and stronger than it has been in almost a quarter century. 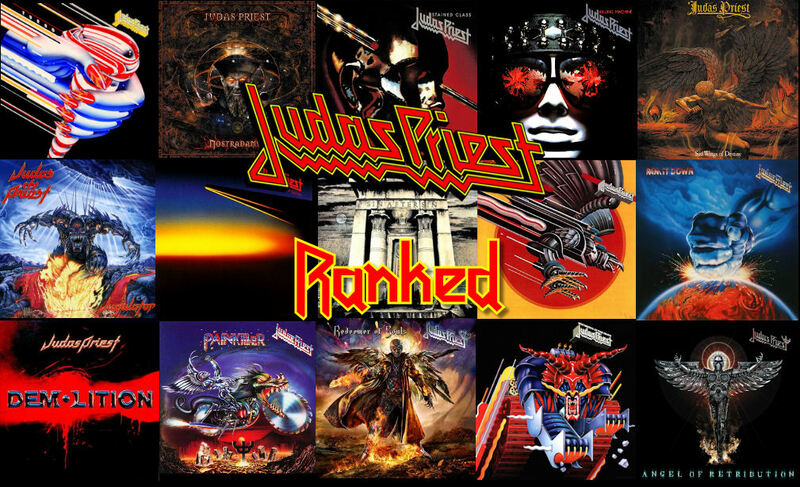 Throughout the album, Judas Priest redefine the band’s iconic sound by blending all eras of the legacy of its sonic signature. The only drawback is the poor volume mix on the album, which ironically made it sound like it was recorded in the band’s heyday. A valid argument could be made that this album belongs higher on this list, and based on the songs alone, this is a fair assessment. However, as the band’s second album, it suffered from notable production weaknesses. Still the songs themselves are legend. Tracks like “Tyrant”, “Victim of Changes” and “Dreamer Deceiver” are among the best classic tracks in the band’s catalog. Best song: “Genocide”. The follow-up to British Steel the band kept the hard rock rolling with hits like “Hot Rockin’”, “Don’t Go”, and “Heading Out to the Highway”. The band stated that unlike previous albums the songs for this record were all written spontaneously in the studio rather than pre-written. Point of Entry released between two of the band’s most seminal albums, but some fans consider it a bit weak overall. Best song: “Desert Plains”. While not terribly well received by critics and some fans, Turbo was still a huge success for the group. It was the first album where guitarists K.K. Downing and Glenn Tipton experimented with guitar synthesizers. Like so many bands in the 80s, Priest pushed their sound in creative new ways, and not everyone was happy about it. The album featured hits like “Turbo Lover”, “Parental Guidance” and “Locked In”. Best song: “Private Property”. 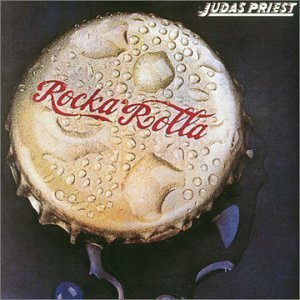 Most notable for having Deep Purple bassist Roger Glover produce it, this record was Judas Priest‘s first for major label Columbia Records. It features a cover of the Joan Baez classic, “Diamonds & Rust” which has long been a staple of the band’s live shows. 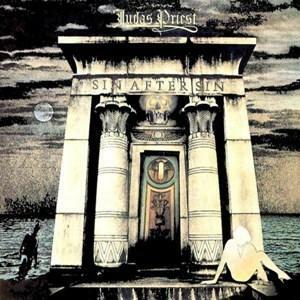 The album features classic tracks like “Sinner” and “Starbreaker”. Best song: “Dissident Aggressor”. Rob Halford returns to Judas Priest and the fans rejoice. This is the record Priest fans were longing for. 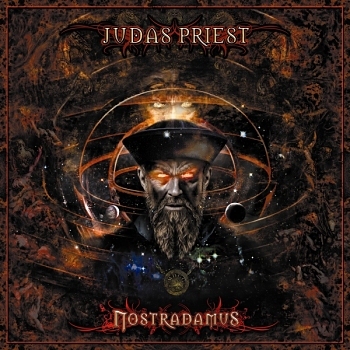 Songs like “Judas Rising”, “Hellrider” and “Revolution” bring the classic Priest sound into the new millennium. Many of the album’s tracks made reference to past albums. Best song: “Deal With the Devil”. 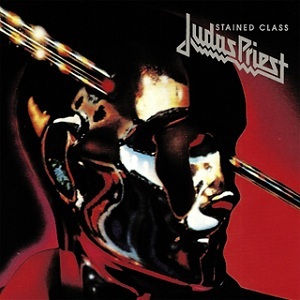 Priest’s first and only concept album, it received mixed critical response. Most fans still aren’t sure what to make of it. The album was so long it was released as a double disc. K.K. Downing stated that they simply could not trim it down. Several songs from the album received attention, with two tracks, “Nostradamus” and “Visions” receiving Grammy nominations. 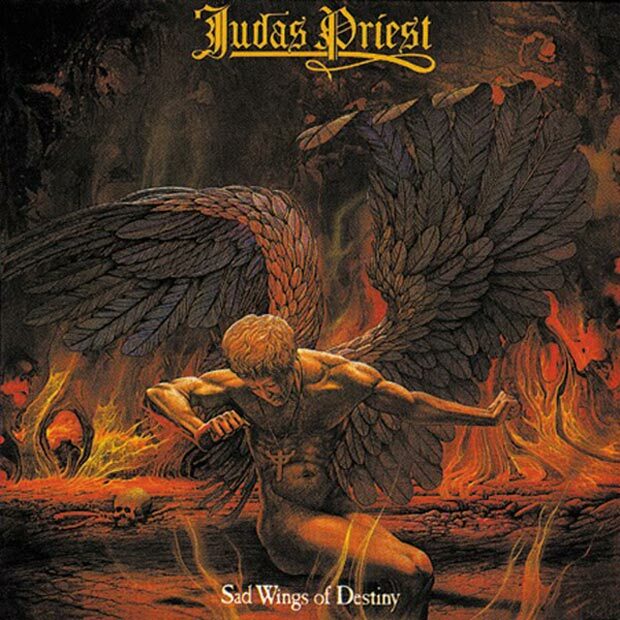 Best song: “Prophecy”. 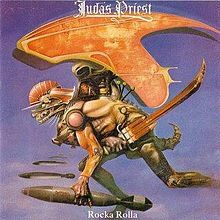 The last album to feature long time drummer Dave Holland, this was the heavier material that was meant to be the second half of a double album with Turbo. Fans were thrilled with a return to the band’s heavier roots, but the album lacked cohesiveness, and the songwriting was not as strong as it could have been. It featured a cover of Chuck Berry’s “Johnny B. Goode”. Best song: “Ram It Down”. The band’s first album, produced by Black Sabbath producer Rodger Bain. Priest has long complained about the interference by the label in what songs went on the album. Many of the band’s best songs ended up on the group’s second album because of this. The album was recorded live with all members in the studio at once. The record is unfocused, but shows promise. Best song: “Never Satisfied”. Thirteen new tracks but not much that appealed to fans or critics. Owens considers it the better of his two albums with the band, but for the first time ever, the guys seemed to be searching for what might connect with fans. They added industrial touches, and even nu-metal rap-type influences. It may be the band’s most embarrassing record. Best song: “Feed On Me”.